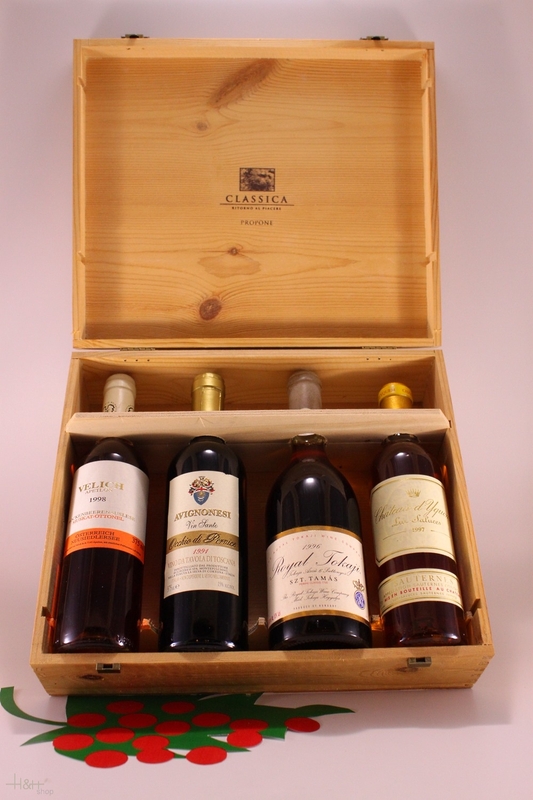 1 bottle Sauternes 0,375 lt. - 1997 - Chateau d'Yquem. South Tyrolean Cheese Assortment Dairy Sesto 34,75 EUR / 17,38 €/kg. Gift Package The Best of 400 gr. - Loacker 15,45 EUR / 35,11 €/kg. Beer Sixtus in the wooden girder 2 lt. - Forst South Tyrol 29,65 EUR / 14,83 €/lt.